Sometimes, practice is really not enough to make everything perfect like in the case of singing. So, if you really want to know how improve your singing, it is advisable that you take voice lessons. In fact, even those who are already known as professional singers take them. Although you may already know how to sing, there are certain techniques that are needed to maximize the full potential of voice. These techniques, however, will only be available to you once you have been trained by those who are experts in voice training. So, the first way to becoming a better singer is to actually recognize the necessity of taking lessons. 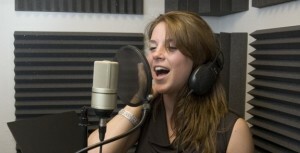 Proper singing techniques are important not only for you to produce full, high-quality sounds but also to prevent causing strain to your vocal chords. In fact, a lot of professional singers have had temporary loss of voice or even vocal hemorrhage because apparently, they are using the wrong technique. Contrary to what is commonly known better singing should not focus directly on the voice. In fact, one should improve his/her posture first. The proper positioning of the body can lead to better sound production. People who sing with curved backs actually prevent the right passage of the voice. Slouching stops the abdominal muscles from fully expanding and contracting. This is important because the aforementioned muscles control the air we need for singing. As we can see, singing also demands a lot from our bodies. We need to be able to regulate the flow of air as we sing. The singing technique known as appoggiare require you to deeply inhale using muscles in the abdomen to make the diaphragm rise. The diaphragm is a muscle below the rib cage that brings the air to the lungs then up to our vocal chords. The appoggiare style of singing involves lifting the sternum while exhaling to remain control of the air. 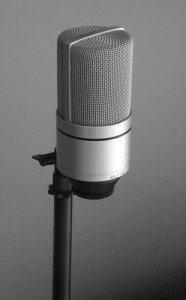 Upon mastery of this technique, the singer can now hold notes steady and prevent air pressure from damaging his/her vocal chords. There are, of course, other physical techniques that will be taught in voice lessons. Some examples would be lip positioning, palate control and proper placement of the tongue. Aside from the physical techniques that you can do to be a master of your craft, singing lessons will also give you vocal techniques. Vocal techniques are quite different from just constant practice. They require an understanding of how sound is produced so that you will know how to control the outcome. Once you have mastered proper breathing and posture, you are now ready to learn how to produce solid and full sounds. Also, you will be learning how to hold a note and end it without sounding breathless. Your lessons will also teach you how to develop a “musical ear” and to actually identify and sing a given pitch. Last, singing lessons can improve your voice range and enunciation and will help you integrate emotions to your singing. These two, hand in hand, will be essential in learning how to improve your singing and they can only be obtained properly through singing lessons. << See What You Can Learn With Free Online Singing Lessons!